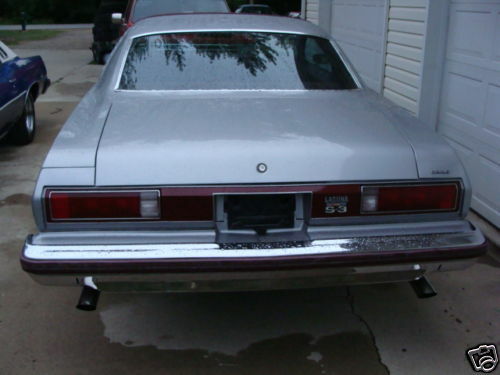 Hi folks, I am in need of a rear bumper for a 75 Laguna with rub strip. 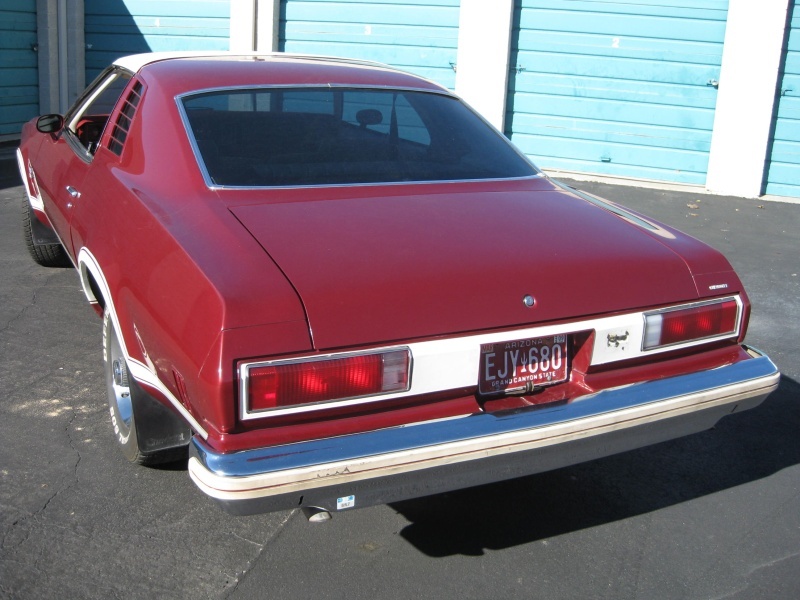 You're going to want to stay with a '74/'75 rear bumper and/or rub strip off a Chevelle/Malibu/Laguna. '76 rub strips are a little different and won't match your front strip. Also, if memory serves, the mtg studs for the '76 rub strip don't line up with the '74/'75 bumper holes. I'm in Woodstock Ontario Can, but have have a friend who has a mailing addy in Port Huron and will graciously allow me to use it. As for price I guess that would depend upon condition and what the seller is asking. 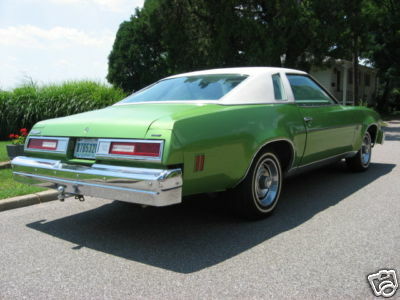 Mcarlo77 wrote: You're going to want to stay with a '74/'75 rear bumper and/or rub strip off a Chevelle/Malibu/Laguna. '76 rub strips are a little different and won't match your front strip. Also, if memory serves, the mtg studs for the '76 rub strip don't line up with the '74/'75 bumper holes. Thanks for the info, the seller I purchased from was vague on the year of the bumper thought 75 or 76, I'll have to measure the bolts, do some reseaarch and see if i can be more specific as to year. Just post a couple of pics from different angles of what's on the car. We can tell the difference. Mcarlo77 wrote: Just post a couple of pics from different angles of what's on the car. We can tell the difference. Dont think I'll be able to get any strip to line up with the stripe, I never noticed before but after browsing this forum it seems that the stripe on the car is not to factory specs. You've got a '74/'75 bumper. Problem is...the rub strip utilizes 13 mtg studs. Your bumper has only 6 available openings. In other words, you need a bumper that originally came with a rub strip. This bumper looks correct for your vehicle. I believe 74 & 75 Malibus and Lagunas shared the same bumpers. You will probably need an impact strip from a 75 Laguna or possibly a Malibu to make it look correct. Here is my 73 Chevelle next to my 75 Laguna. What you have in the picture you posted is a 75 Laguna S-3 like mine. I agree that the rear bumper is from a Malibu and not a Laguna. Similar, and they do fit, but it's not stock to the car you have. Here is a 76 rear Malibu bumper on the green car. The silver car is a 75 Laguna , the orange car is a 74 Laguna, and the red car is my 75 S-3 the day I found it buried in an Atlas Van Lines storage warehouse after 15 years! I think that shows most of the available rear bumpers..LOL. 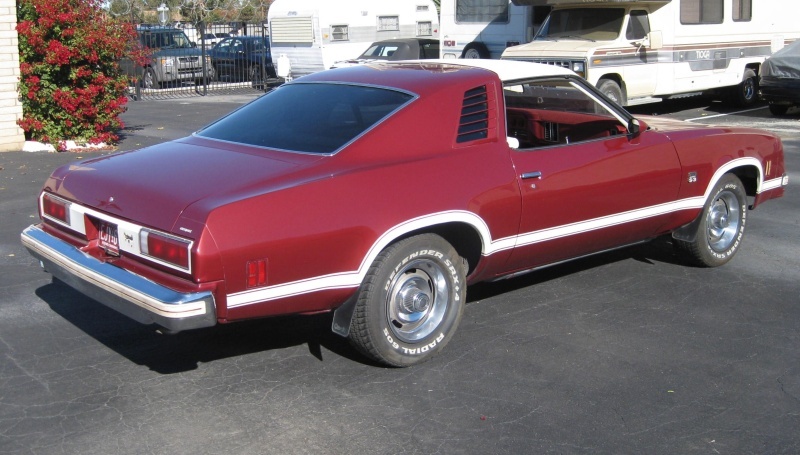 Here is the 74 laguna.. Thanks everyone for the great info, I have now edited original post to just 75 Laguna rear bumper with rub strip now knowing that a rub strip is not compatable with the cars current bumper. Don't just limit yourself to searching for a Laguna bumper/rub strip. '74/'75 Malibus also had the same ones with black rub strips. And, don't worry about bumpers with the guards on them. They just fit over the rub strip (rub strip isn't cut to fit around them). Yes, you guys are right, a malibu bumper and strip will dress it up a bit more. The Laguna rub strip is colour coded to the stripe colour with a paint coded stripe down the middle. Limey, thanks for posting the ebay listing, unfortunately it ended today before i saw your post. I dont know how well a rub strip will take paint ie. white rub strip being painted to match black stripe. » Rhino Rear Brake AWFUL Noise -- Normal?? » Frame Gusset Cracked at Rear Diff mount on the Rhino. » New Rear RZR Bumper to match the EMP front bumper.